A man got promoted at his place of work. Before he got back to his office same day, his mum called him (she calls him daily to ask what he ate, how he slept, etc). He ended the chat with the promotion news to his mum. Hey wait! That was after his mum asked him: “My son, I have been praying for God to promote you and I saw a dream where it happened. Please confirm”! Before he got home, his wife had already got the news, courtesy of his mum who called his wife to break the news. She waited for him to break the news to her even after dinner, no way. Next day, her househelp was dancing and she asked her what happened. She said: ‘uka madam, uka don get promoshan o! Na im be say my salary go increase o”. She didn’t wait to hear her other statements, she dashed off in tears. She thought: “This is the promotion we’ve been praying to God for, as husband and wife. Now it has come, I am the last to know about it? He has told his mum and even my househelp? The NEXT week, her hubby came home with a smile and asked her to guess what. She said: “You’ve been promoted”? He was like: “How did you know”? She then burst into tears and became uncontrollable by her husband as no attempt he made to stop her tears worked. He became pissed off and drove off. No sooner did he leave than ‘miss househelp’ dashed into madam’s room to ask what the matter was. She went thus: ‘Uka madam, wetin dey make you cry? Wey uka go na? Me I go follow you cry o. This promotion reach to cry, I tells you o’. GBOOAA! That was the sound that traveled from an unknown destination on ‘miss househelp’s ears. Thirty (30) minutes later, her phone rang. Of course, madam was not in the mood to talk to anyone. Five (5) minutes later, a text came in and ‘lololy beholdedly’, it was her mother in-law. To madam, ‘why on earth wouldn’t this OLD woman stop meddling in my life’? She deleted the text without reading it, like it never came. Madam was killing herself…in fact, eating her own flesh for no reason best known to anyone. Twenty seven (27) minutes later, a sound came at the door: ‘Griiiiiiing…griiiiiiiiiiiing…griiiiiiiiiiing’. Her talking clock also reminded her of something. ‘Oh my God! What have I done? It was a promise I was meant to keep. I promised my husband that I will never get angry on my birthday, not even few days to the day. It was a bet. So he planned to make me fail this test’? Now that you have read this, could you help answer these questions? 1. 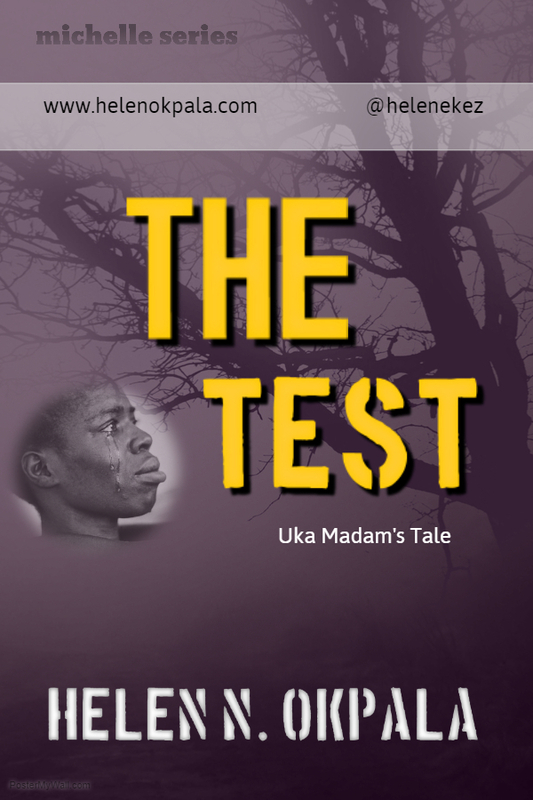 What do you think was contained in the text sent by madam’s mother inlaw? 2. Did madam’s husband actually plan these things out with his mum & househelp? 3. Who RANG the bell? Thank you so much, Daddy.